THE LUXURIOUS ESTABLISHMENT OF AURUM LOUNGE WANTS TO INVITE YOU TO EXPERIENCE THE MOST TALKED ABOUT PARTY ON A FRIDAY NIGHT! LOADED WITH THE PRETTIEST LADIES & SOCIAL LITES IN THE CITY, 5 STAR FOOD SELECTION / HOOKAHS WITH A VARIETY OF FLAVORS / COMFORTABLE VIP SECTIONS / DANCE FLOOR / MIXED DRINKS & BOTTLES SPECIALS WITH THE HOTTEST DJ'S! HOSTED BY STREETS 94.5 RADIO STATION. Sorry, you missed AURUM ON FRIDAY❗️THE MOST T... at Aurum Lounge. 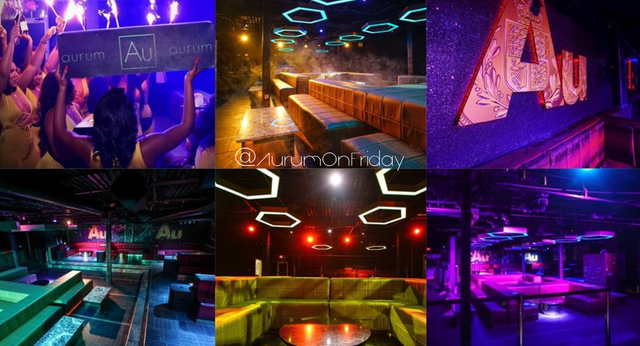 Demand that Aurum Lounge gets added to the next tour! You missed AURUM ON FRIDAY❗️THE MOST T... at Aurum Lounge. We're generating custom event recommendations for you based on AURUM ON FRIDAY❗️THE MOST T... right now!